THAPANGTHONG, Lao People’s Democratic Republic – “Just lie still and relax. Breathe slowly,” midwife Khoun Keobouttavong told Out, 30. Out was laying on the floor of her small stilt house in the southern Thapangthong District of the Lao People’s Democratic Republic. Ms. Keobouttavong pressed a fetal stethoscope into Out’s belly. Out was about six months pregnant. “The heart is beating well,” she told Out, smiling. Ms. Keobouttavong is the only midwife covering the district, which includes eight villages and hundreds of residents. Though she has a small clinic, she spends much of her time making house calls – when road conditions allow. There are also widespread misconceptions about the care she provides. This makes it difficult to achieve one of her primary goals: reducing maternal mortality among the rural women here. According to the most recent UN data, out of every 100,000 live births in the country, 197 women die of pregnancy-related causes – much higher than the regional average. Only about 40 per cent of births are attended by a skilled health professional, like a midwife or doctor. There are now some 1,700 trained midwives working across the rural parts country, part of a 2012 government initiative to improve maternal health. UNFPA has supported these efforts, helping to develop a midwifery curriculum, training midwifery instructors and equipping midwifery schools. Still, these midwives face a range of challenges – not only poor roads, but communication barriers as well. 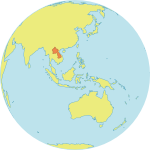 The country has dozens of ethnic groups, each with their own language and customs. Grinding poverty also limits rural women’s access to care. 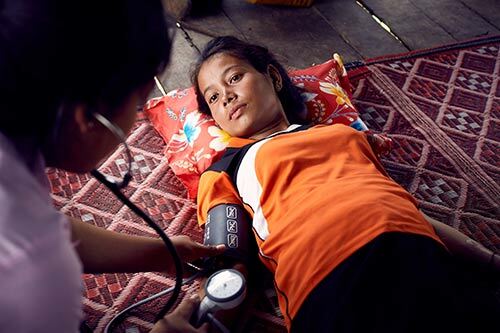 “They need to tend to rice crops and take care of children,” Ms. Keobouttavong said, explaining that many women do not have the time or resources to seek health care. Out had to squeeze her check-up into a busy day of farm work. Afterward, she returned to the rice fields, and also cared for her two young children. 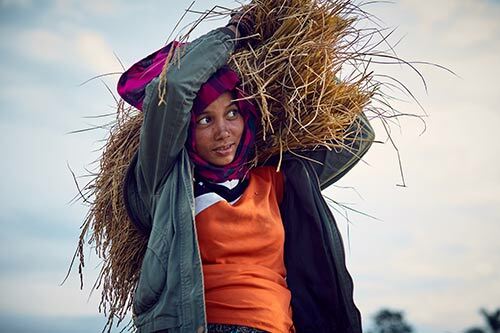 She told UNFPA that, to meet the family’s needs, she also forages for food every day. “I catch fish or frogs to eat or cut some bamboo, as we do not have money to buy food,” she said. Khamkong, 21, is seven months pregnant. Like Out, she is a rice farmer. She is aware pregnancies can be deadly, but comforted knowing that skilled care is available. The government is also looking to improve women’s health by increasing access to family planning. Contraceptives reduce the incidence of dangerous pregnancy-related complications. Family planning also empowers women to stay in the classroom and workforce, helping them break the cycle of poverty. “Family planning has a far-reaching social and economic impact,” said UNFPA’s representative in Lao PDR, Frederika Meijer. UNFPA has supported the country’s family planning efforts since 1995, including by training health workers to provide contraceptive counselling and services. UNFPA has often been the sole provider of contraceptives to the government health system. UNFPA is also working to keep midwifery care up-to-date. Last year, UNFPA released a mobile phone app for midwives, which contains the most recent clinical guidance as well as instructional videos. For her part, Ms. Keobouttavong says that, although she is sometimes overwhelmed with the workload, she happy to see an increase in women seeking her services. She hopes to set an example for the next generation. She, too, grew up in the area, she explained. She was the only woman in her village to ever graduate from secondary school. “I have some girls who want to talk to me about my education and some of the parents see that maybe it’s good for their daughters to stay in school. People see what I have done and so they have begun to think, maybe I can do that too,” she said.